The Smith Botanic Garden participates in an international seed exchange between botanical insitutions that has been in existence for well over a century. This exchange program is exclusively for scientific, educational, and conservation purposes. 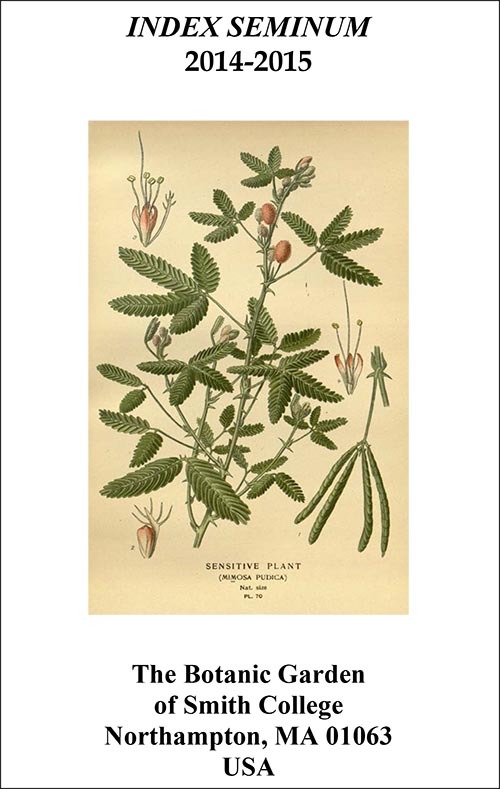 Other botanical gardens may order from our Index Seminum (Latin for seed list), which gets distributed to over 250 institutions around the world. In past years we have gotten seed orders from over 100 gardens, sending out over 1000 individual seed packets. We collect seed from our own collection, both in the Lyman Conservatory, and in the Campus Arboretum and outdoor gardens, and additionally we collect seed from native populations in the wild. These wild collected seed have full collection data, making them extremely useful to botanical researchers worldwide. The Botanic Garden also orders seed from other gardens. In past years we have received seed from climates ranging from tropical to alpine, and from countries such as China, Iran, Sweden, Indonesia, and Chile. In this way we expand the genetic diversity of our collections in the Lyman Conservatory and outdoor gardens, providing a research tool to our students and staff.